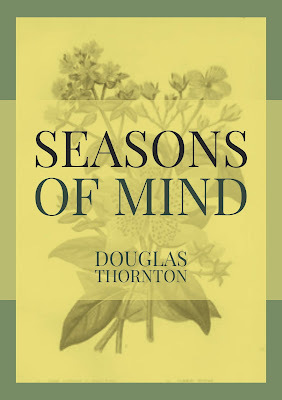 In the coming days a new book entitled Seasons Of Mind will become available in print and electronic form at bookstores and online. The texts are composed of reflections that first appeared on this website in 2016, but were written in the years 2011-2012. They have since been recast and revised to bring forth that idea which they were all bearing towards, that of an interpretation of the poetic spirit. For those of us then who still hold a certain respect for the written word and find it not idle to peer into the dimensions of human thought, such a book will not be considered worthless. Upon the same foundations were built the works of Pascal, Aurelius, and Montaigne. But of course, it has neither of these for its model, nor does it profess to put forth any philosophy unless it be that of giving breath to the resurgence of poetical thought. Therefore, if it is through the confidence of our own whims that we are led past the ignorance of our darkest hour, it is also with inspiration that we may look on common things and feel from them a sense of being, and when this is so, there is a notion of truth. This, I urge, is the motivation behind Seasons Of Mind.